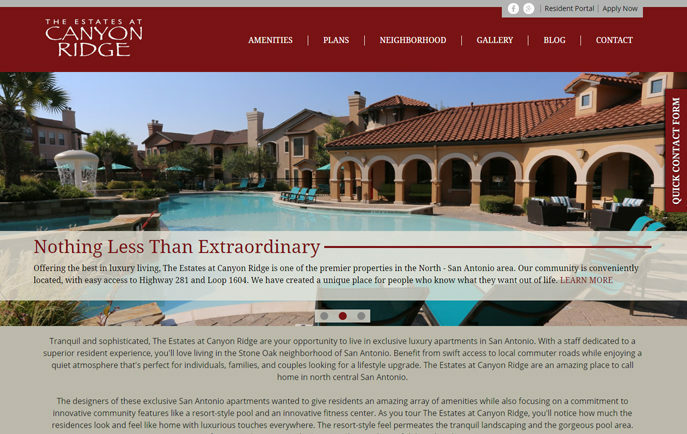 Tranquil and sophisticated, The Estates at Canyon Ridge are your opportunity to live in exclusive luxury apartments in San Antonio. With a staff dedicated to a superior resident experience, you'll love living in the Stone Oak neighborhood of San Antonio. Benefit from swift access to local commuter roads while enjoying a quiet atmosphere that's perfect for individuals, families, and couples looking for a lifestyle upgrade. 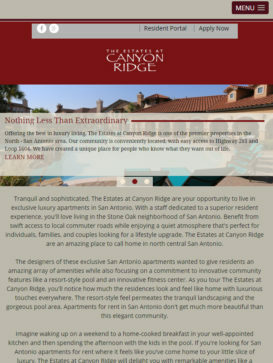 The Estates at Canyon Ridge are an amazing place to call home in north central San Antonio.